2 February 2019 Event ReportsTim G.
Another January National, and it looks like we got a record turnout– better weather was a help this year. 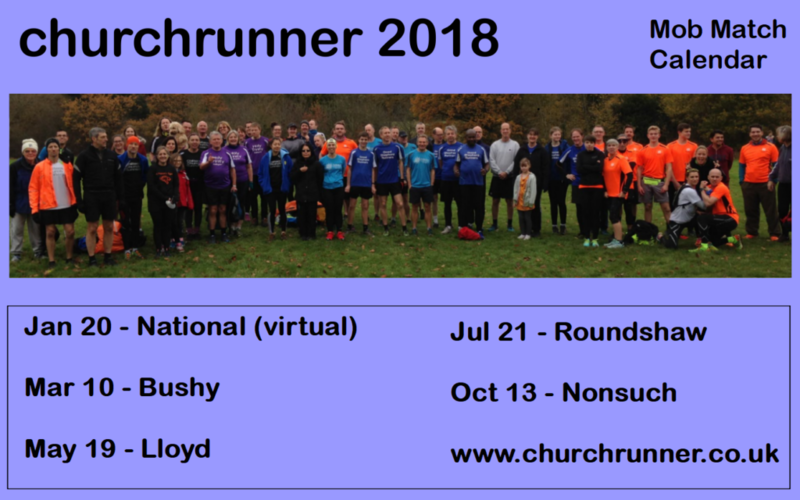 In total there were 238 runners (68 up on last year), across 89 parkruns (half as many again as last year) running for Christian running groups/churches. Please note some runners are not listed in the individual results due to GDPR issues. 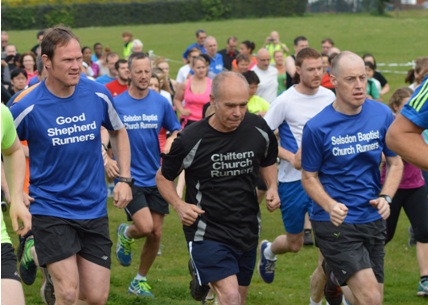 Obviously none of this would be possible without parkrun – so a big thank you to them. parkruns – where did we run? Lloyd, Roundshaw Downs, Rushcliffe, Riddlesdown, Banstead Woods, South Norwood, Riddlesdown, St Alban’s, Dulwich, Ally Pally, Nonsuch, Swindon, Horsham, Southwick Country, Melton Mowbray, Hastings, Catton, Stormont, Orangefield, Jersey, Bushy, Walsall Arboretum, Cannon Hill, Princes, Mile End, Wimpole Estate, Cheltenham, Hillsborough, Tonbridge, Harcourt Hill, Conwy, Bromley, Long Eaton, Peterborough, Southport, Wycombe Rye, Forest Rec, Catton, Raphael, Braunstone, Cotsford Fields, Manor Field, Coldham’s Common, Heslington, Catford, Perry Hall, Stevenage, Colney Lane, Brueton, Arrow Valley, Markeaton, York, Finsbury, Southampton, Sheffield Hallam, Belton House, Burnham & Highbridge, Kettering, Chelmesford Central, Fell Foot, Eastbourne, Leamington, Northampton, Fareham, Rother Valley, Cleethorpes, Montrose, Rothwell, Conkers, Pontefract, Eglinton, Wakefield Thornes, Tamar Trails, Woodhouse Moor, Oxford, Tilgate, Upton Court, Newent, Beeston, Tooting Common, Harrow, Richmond, Cannock Chase, Isabel Trail, Poolsbrook, Eastleigh & – Yokine in Australia (well done Rupert of Holy Trinity Wallington) as well as Clermont Waterfront in the USA (thanks Karen for Chiltern Church Runners), Tokoinranta Finland (Salvation Army). So not just National – but very International this time. 27 January 2019 NoticesClive W.
17 October 2018 Event ReportsTim G.
Brilliant to see you all, 23 ran for Chiltern, 18 for Good Shepherd, 2 for Croydon Vineyard, 5 for Sutton Vineyard, 1 for All Saints West Ewell, 6 for Holy Trinity Church Wallington, 18 for St Patrick’s, 2 for Springfield, 2 for the Salvation Army, 4 for Selsdon Baptist, 3 for Tandridge Deanery, 1 for Sutton Christian Centre, & 1 for Cheam Baptist – 86 runners in total, and from 13 different Churches. We were spread from position 19 to position 674 – we helped push Nonsuch to being 3rd biggest parkrun in the country that week. 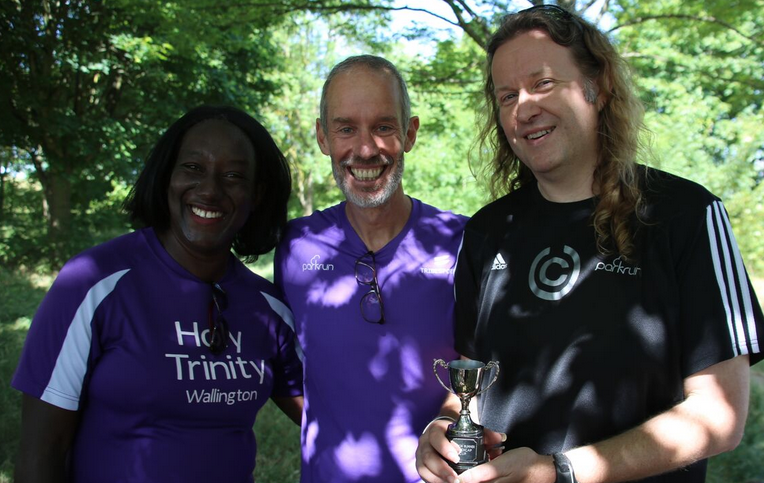 28 July 2018 Event ReportsTim G.
Thank you all so much for coming, 43 ran for Chiltern, 7 for Good Shepherd, 2 for Tandridge Deanery, 6 for Holy Trinity Church Wallington, 3 for Emmanuel, 10 for St Patrick’s Tigers, 4 for Christ Church Purley, 9 for Croydon Vineyard, 6 for Springfield, 6 for the Salvation Army, 2 for Sutton Christian Centre and 5 for Selsdon Baptist – 103 runners in total! 31 May 2018 Event ReportsTim G.
Thank you all so much for coming, 23 ran for Chiltern, 10 for Good Shepherd, 13 for St Patrick’s, 5 for Holy Trinity Church Wallington, 14 for Emmanuel, 10 for Croydon Vineyard, 2 for New Life Christian Centre, 1 for the International Church of Christ, 1 for the Salvation Army, and 18 for Selsdon Baptist 97 – runners in total. 14 March 2018 Event ReportsTim G.
Thank you all so much for coming, 16 ran for Chiltern, 4 for Good Shepherd, 6 for St Patrick’s, 3 for Holy Trinity Church Wallington, 3 for Refresh , 1 for Springfield Springers and 7 for Selsdon Baptist 39 – runners in total. A return ‘home’ for Nick White of Springfield Springers who has 261 Bushy parkruns now starting there in 2007! In all 1146 people ran Bushy parkrun that day, and we were spread from position 9 to position 1124! 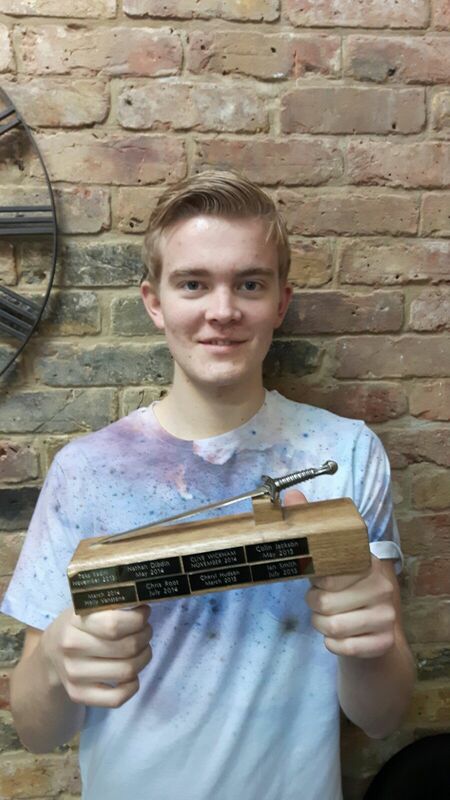 5 February 2018 Event ReportsTim G.
Another January National, and it looks like we got a good turnout– but the weather meant some parkruns were shut for health and safety reasons – bad luck for last year’s winners Christian Runners UK, as that was often in the North – impacting on their numbers. Nice to see several new Churches in the results – and even on the podium. 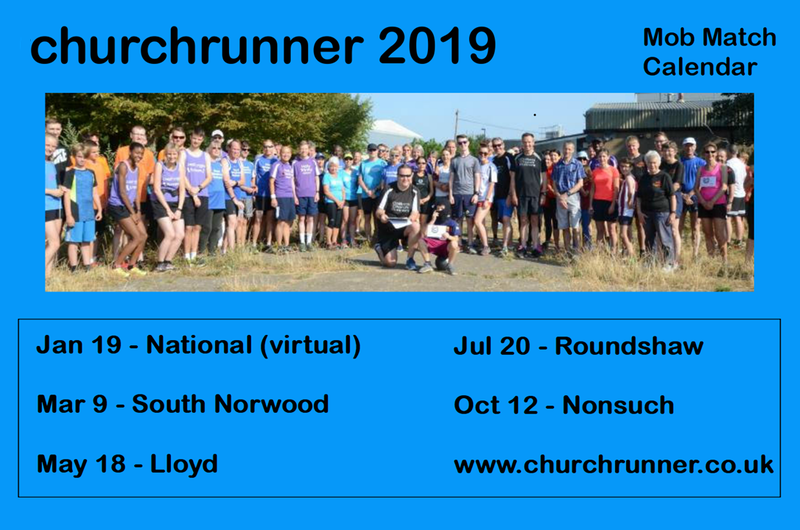 In total there were 170 runners (50 up on last year), across 57 parkruns (nearly double last year) running for Christian running groups/churches. 1 January 2018 NoticesTim G.
15 December 2017 Runner ProfilesTim G.